About the Book: After nearly freezing to death on their trek north, Brooke and her small group wake to find themselves in civilization. They have found the utopian city, hidden deep in a remote stretch of Canada. They have heat, food, comfortable beds, clean clothes, and security. Finally, they have made it. 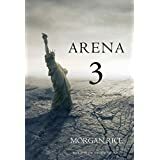 Morgan loves to hear from you, so please feel free to visit www.morganricebooks.com to join the email list, receive 4 free books, receive free giveaways, download the free app, get the latest exclusive news, connect on Facebook and Twitter, and stay in touch! As always, if any of you are suffering from any hardship, email the author at morgan@morganricebooks.com and Morgan will be happy to send you a free book! 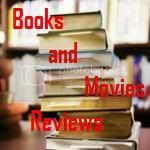 My Review: This is an epic finish for this apocalyptic trilogy featuring a young lady and her friends, living in a world destroyed by a nuclear war. Some survivors of that war became like animals, feasting in the terror and fear of weak ones, making then fight to death for entertainment in arenas. In this final book, our heroine and her companions finally reach Canada and they find the city they were looking for, but did not know if it really existed. It is an army shelter, taken care by a commander that is very restrict about receiving new members in his community. After a while living there, they receive a communication from another community in Texas and they figure out that there might be other survivors struggling to recompose their lives after the war. Brooke thinks the message came from her father and now the dilemma she faces is if she tries to reach her father and work with him to restore America or if she stays in the security of the compound they found. The author managed to bring into this story situations that will keep you hooked from the very first page until the end. Savor each turn of page, because it is really worth it! I recommend this book to the permanent library of all readers that enjoy a well written thriller. You will not be disappointed.